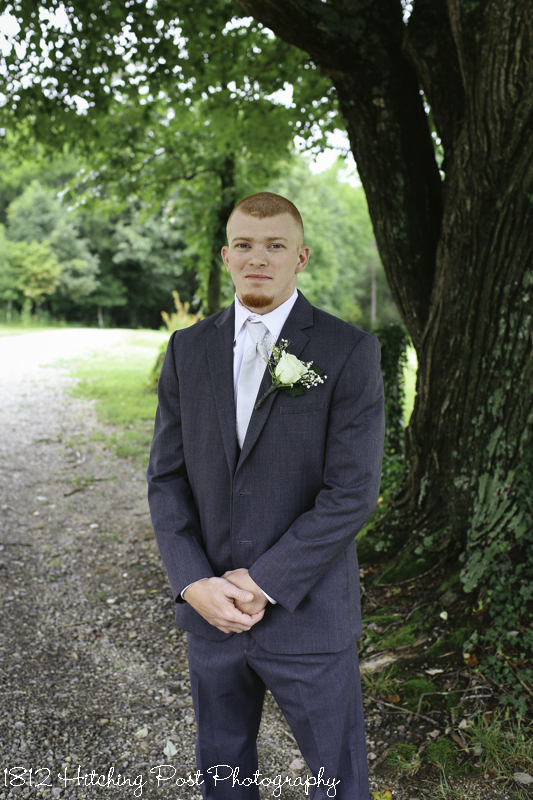 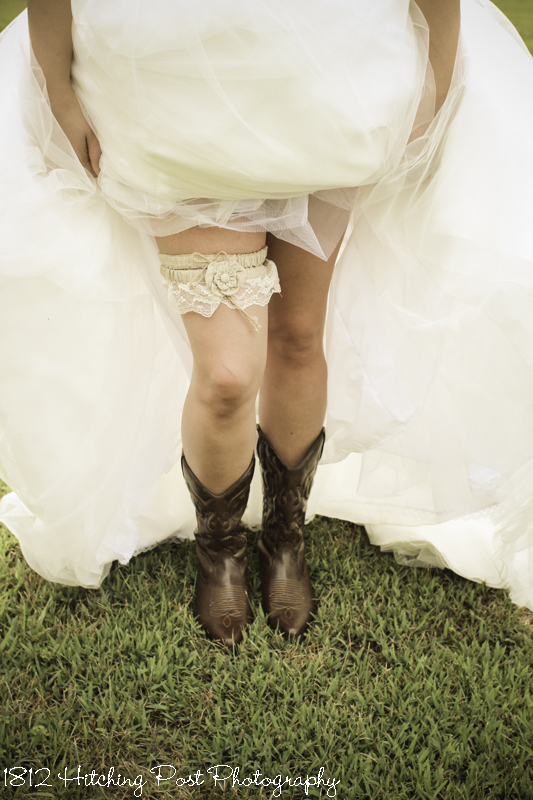 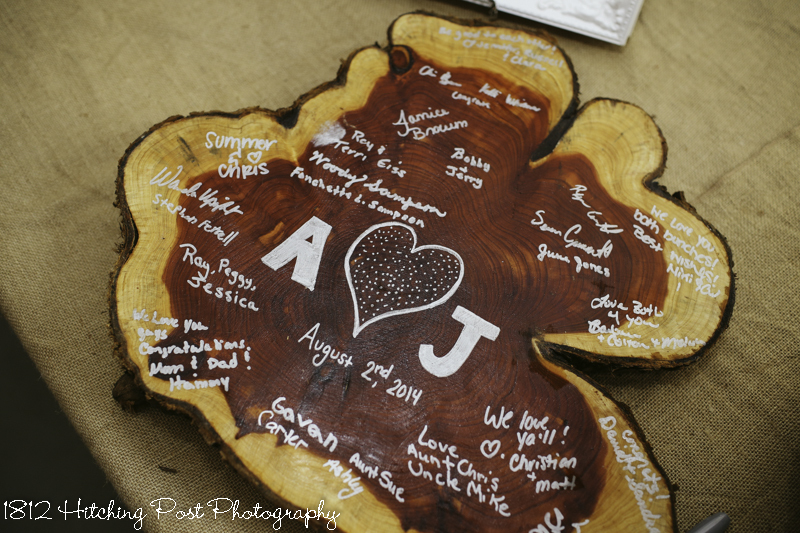 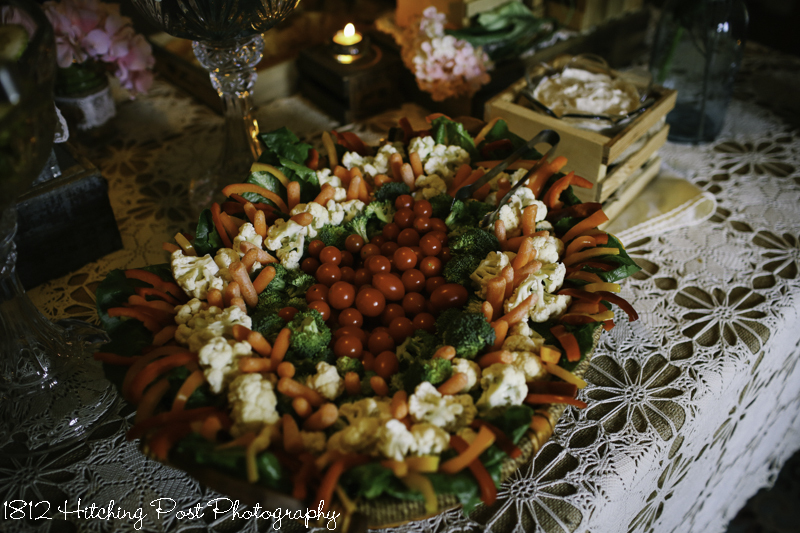 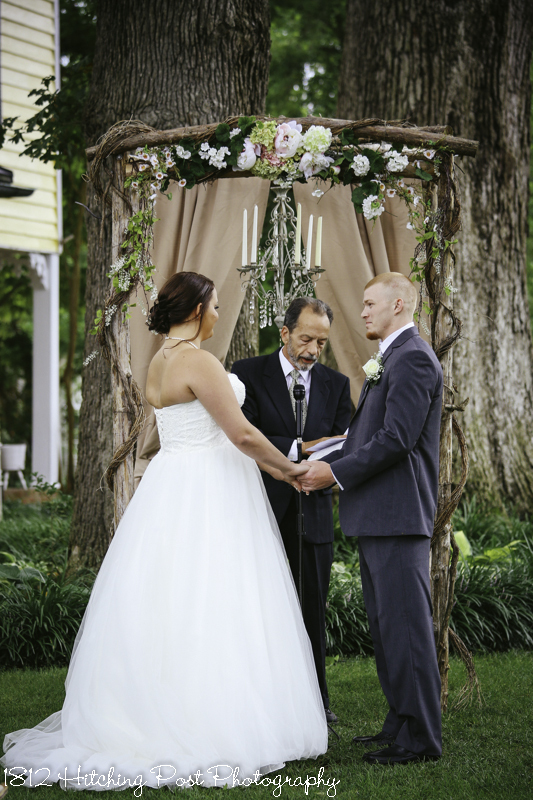 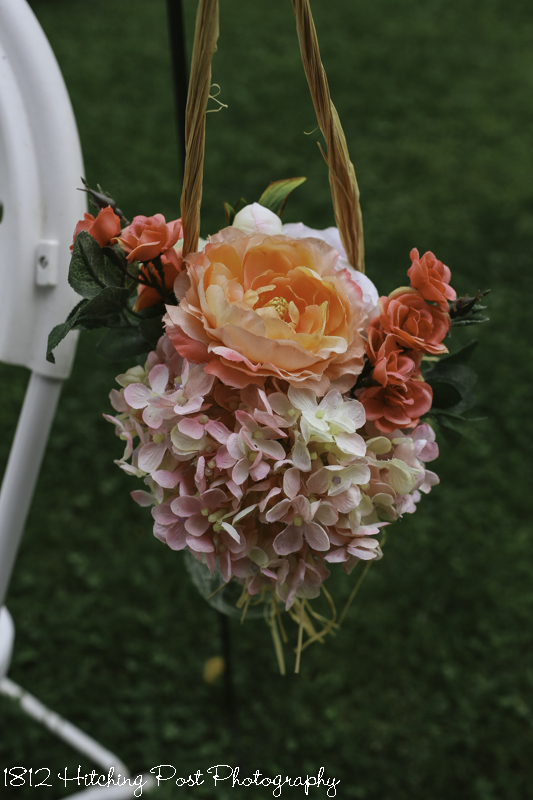 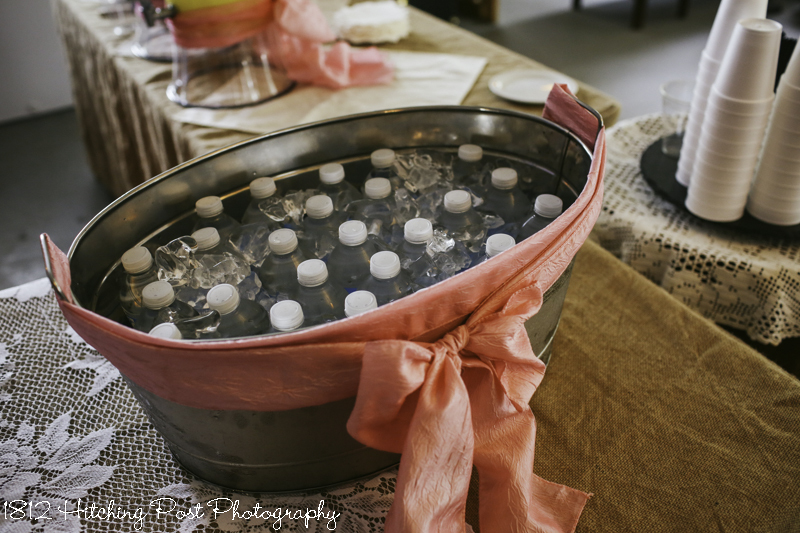 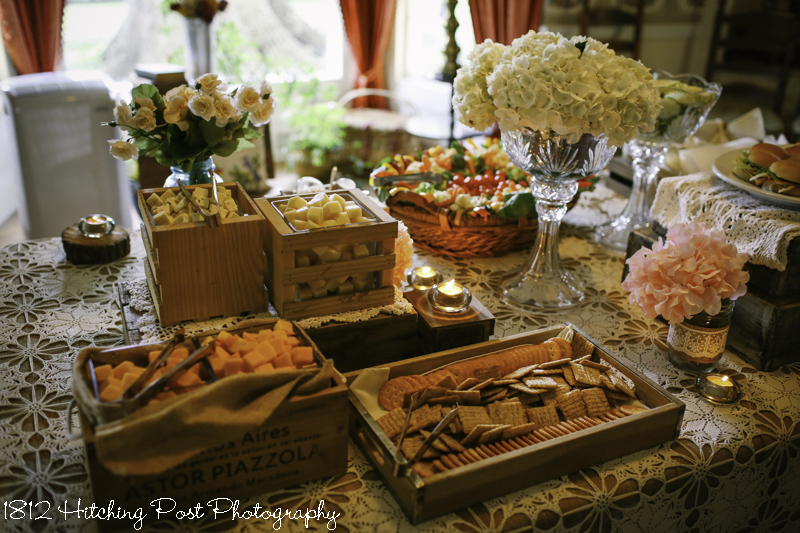 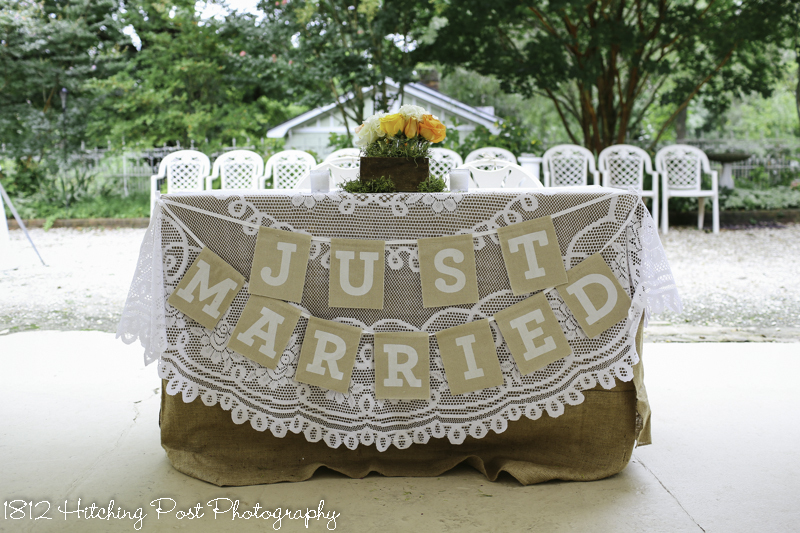 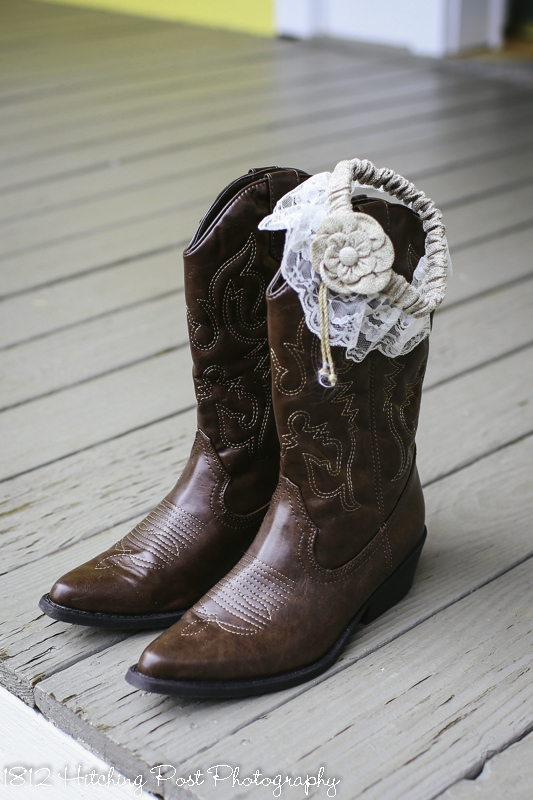 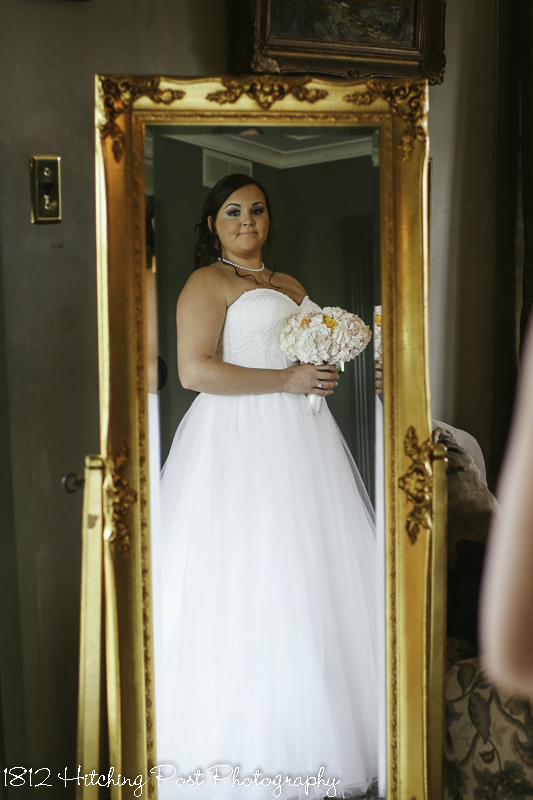 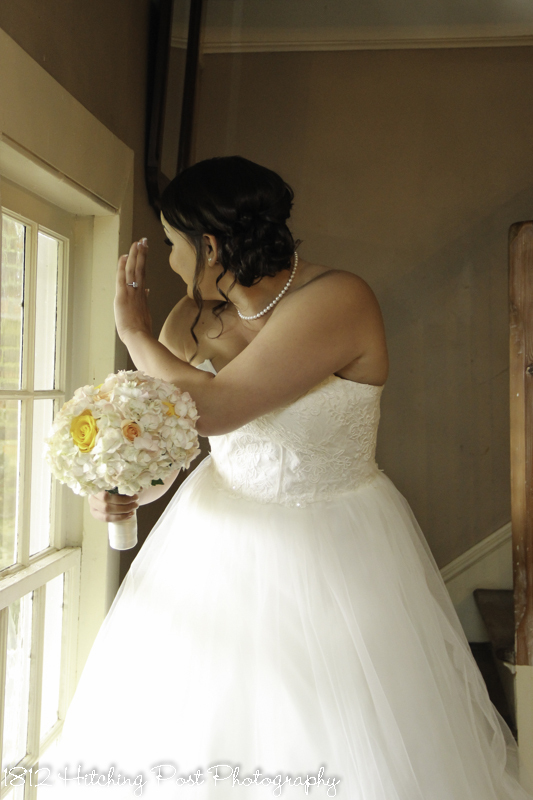 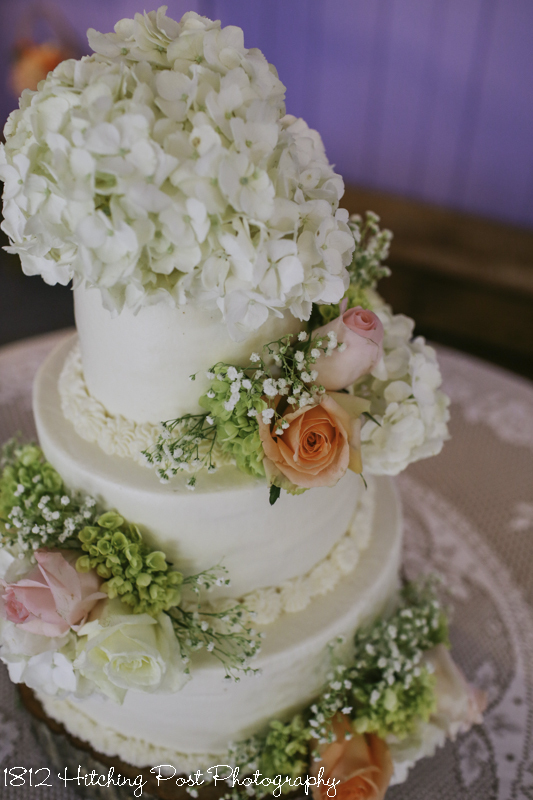 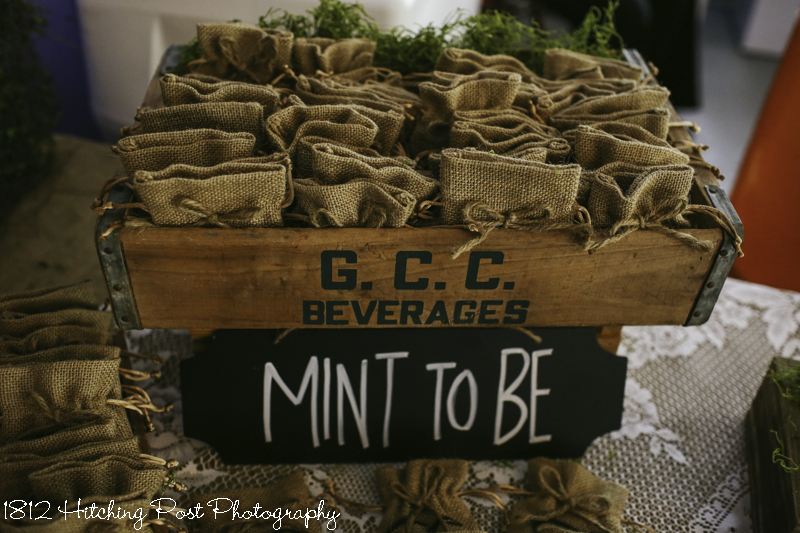 This wedding had lovely personal rustic touches. 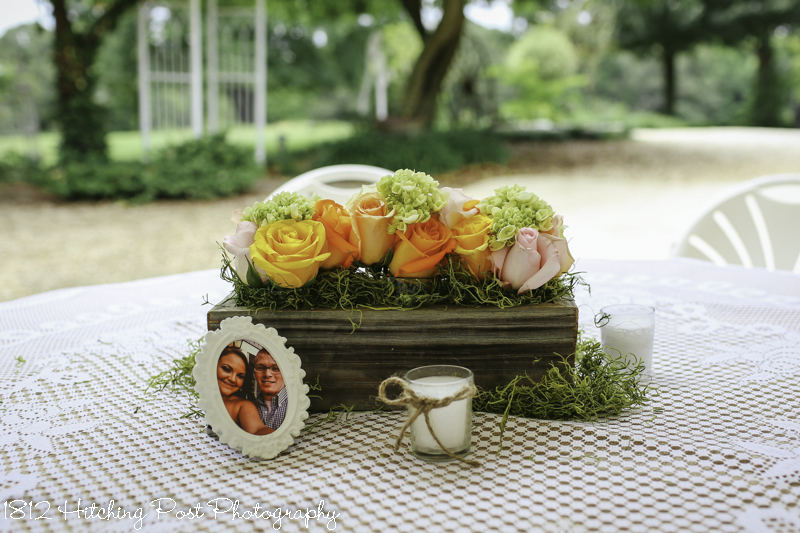 Dark stained boxes with peach, yellow, pink, and coral roses with touches of moss decorated the lace and burlap topped reception tables. 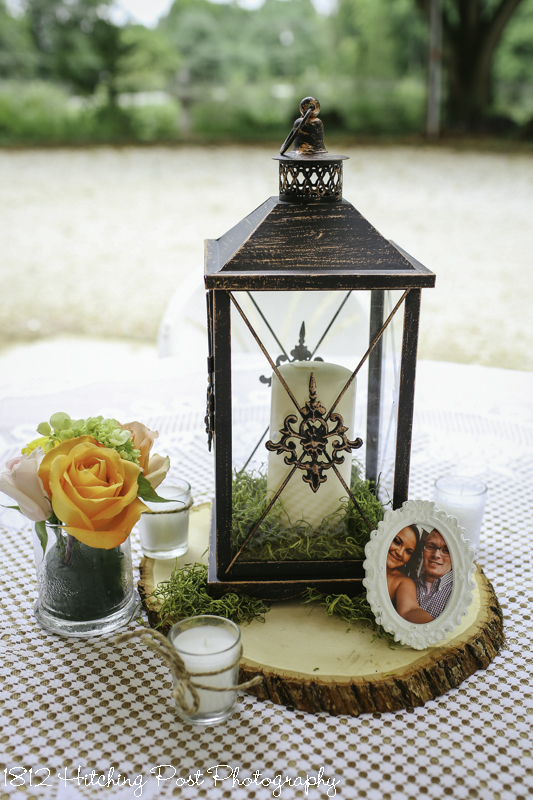 Pretty lanterns, burlap curtains, cowboy boots, and rustic food displays carried the theme throughout. 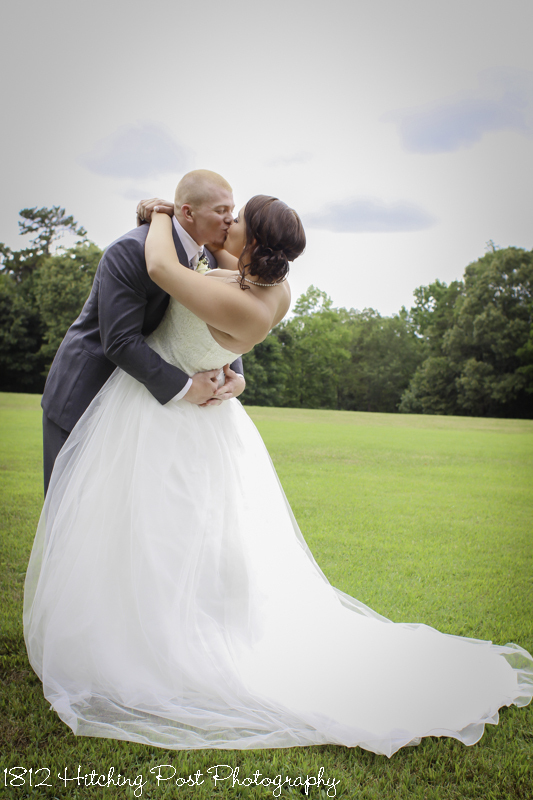 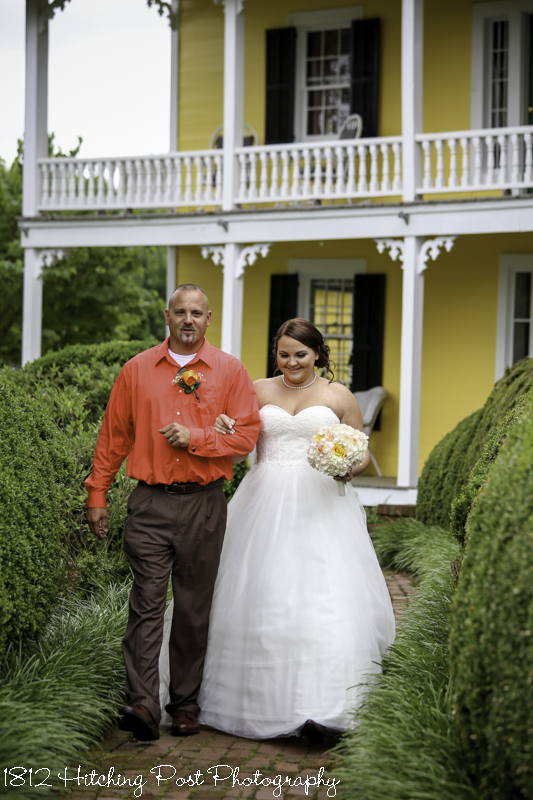 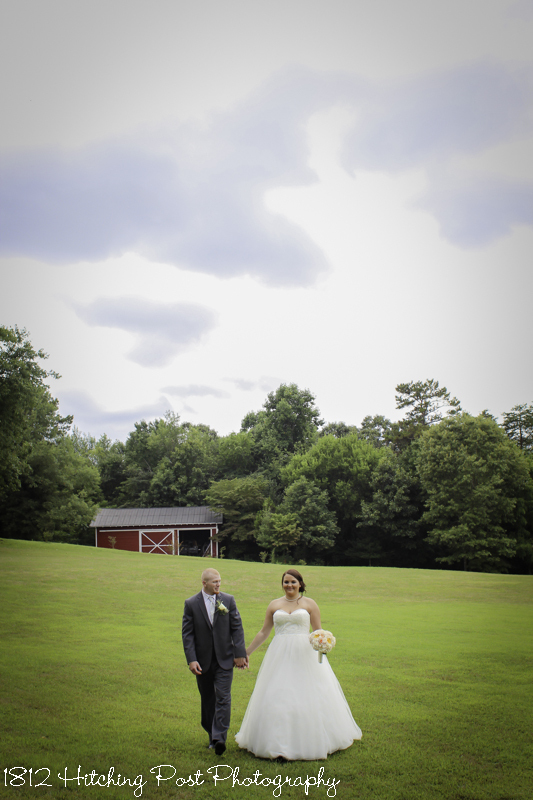 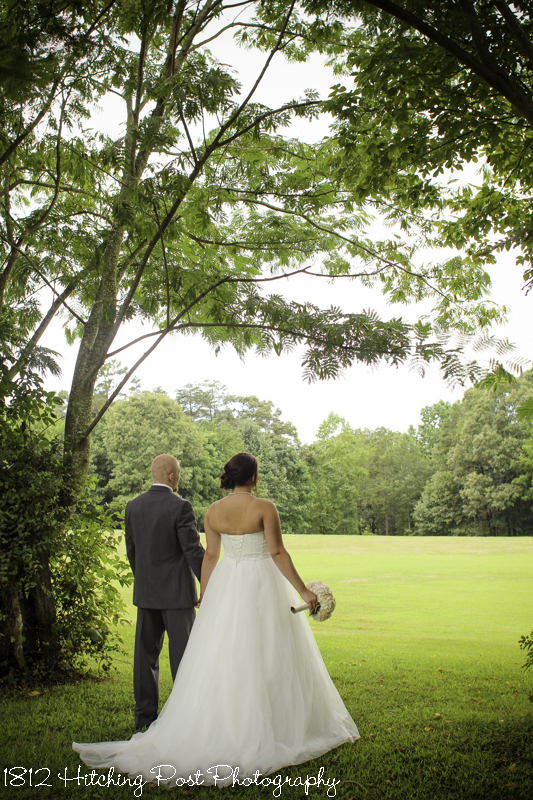 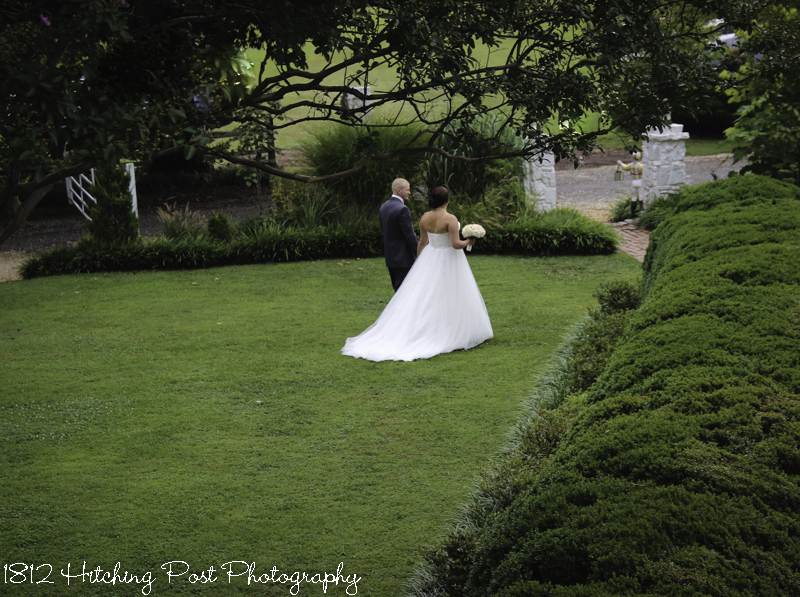 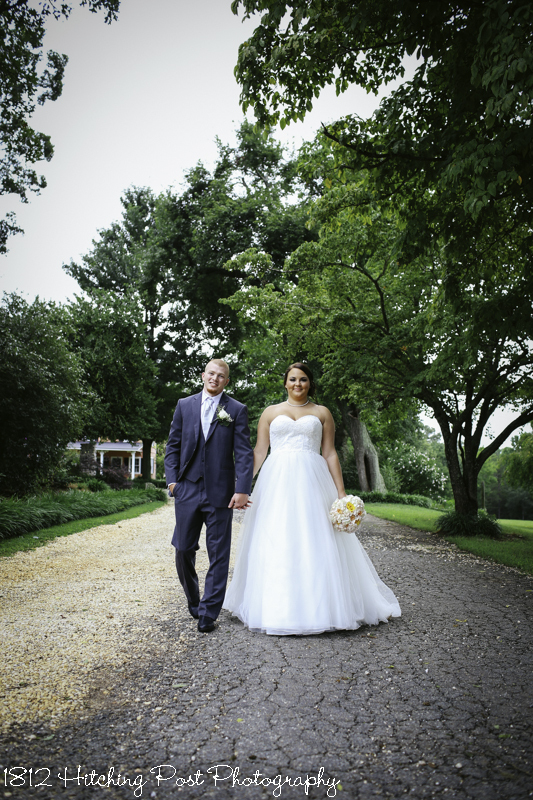 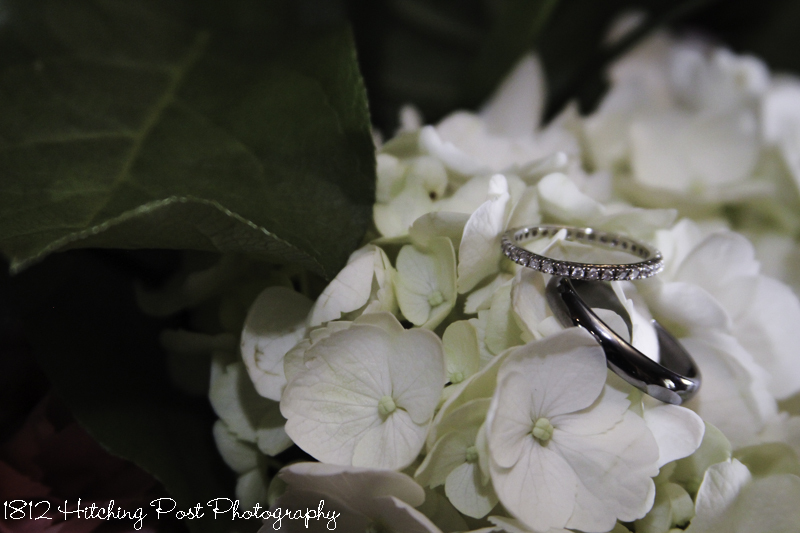 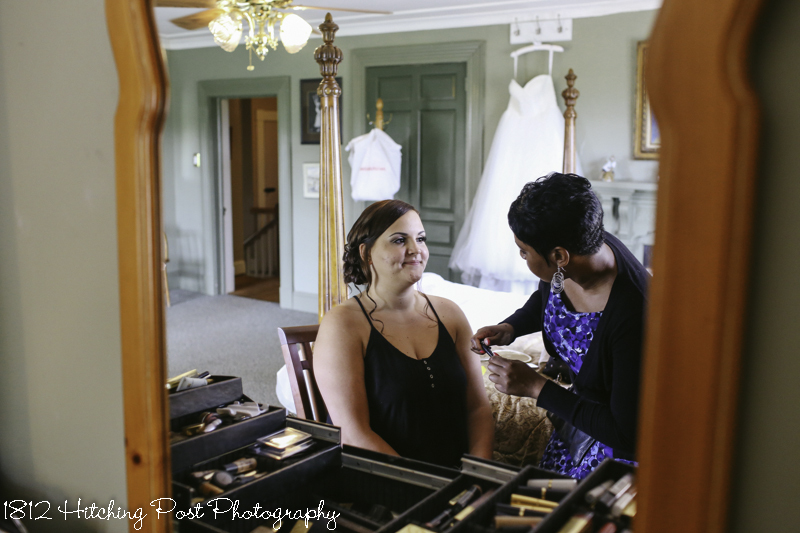 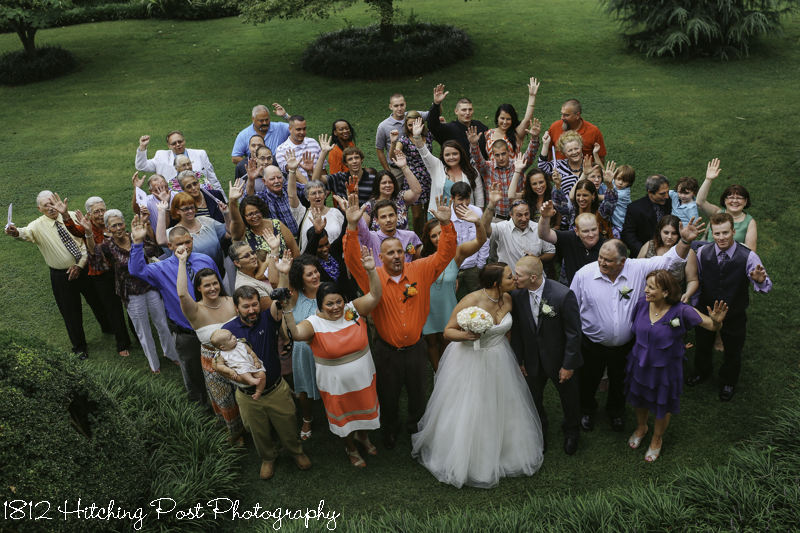 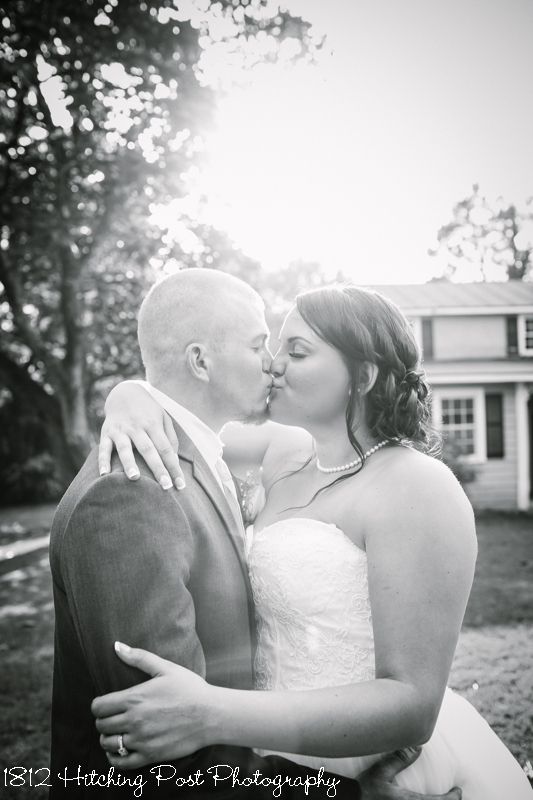 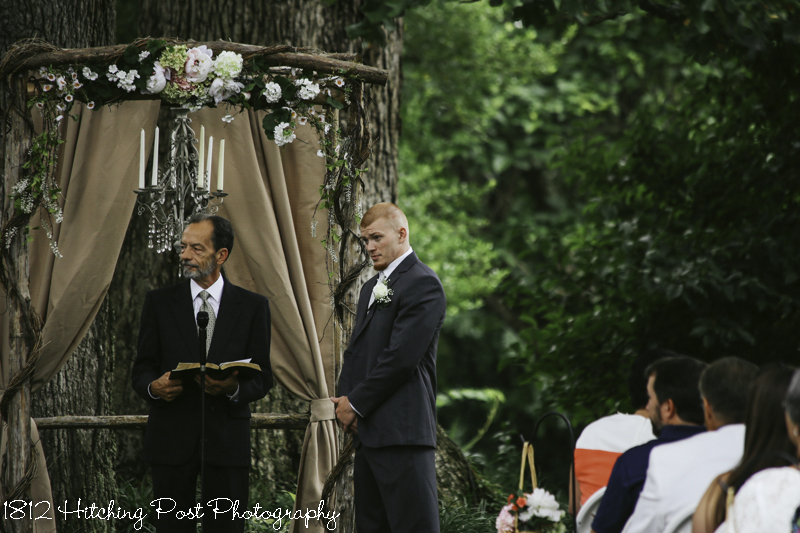 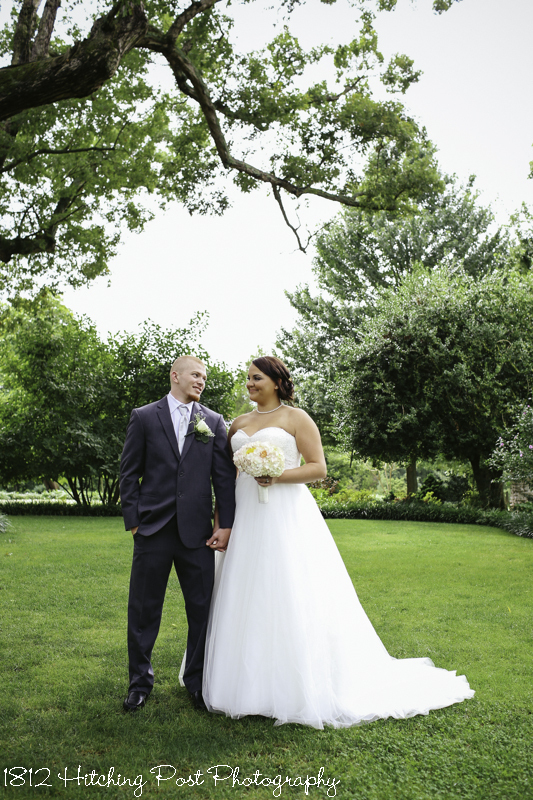 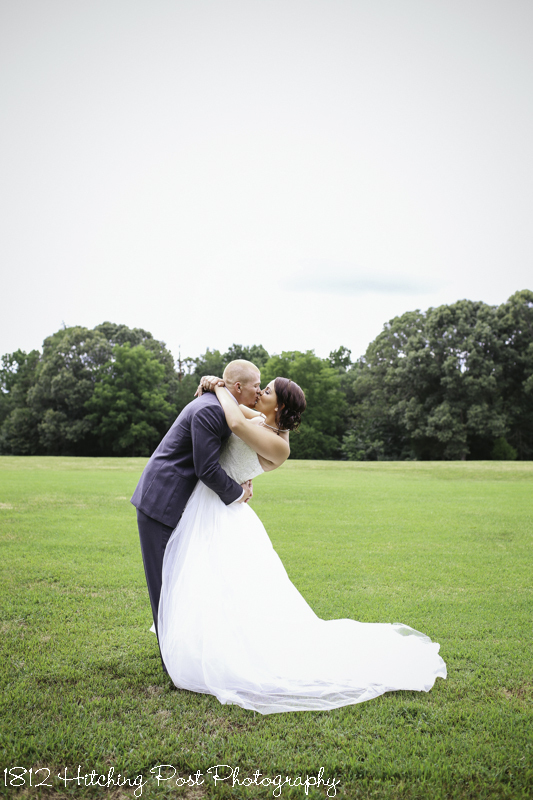 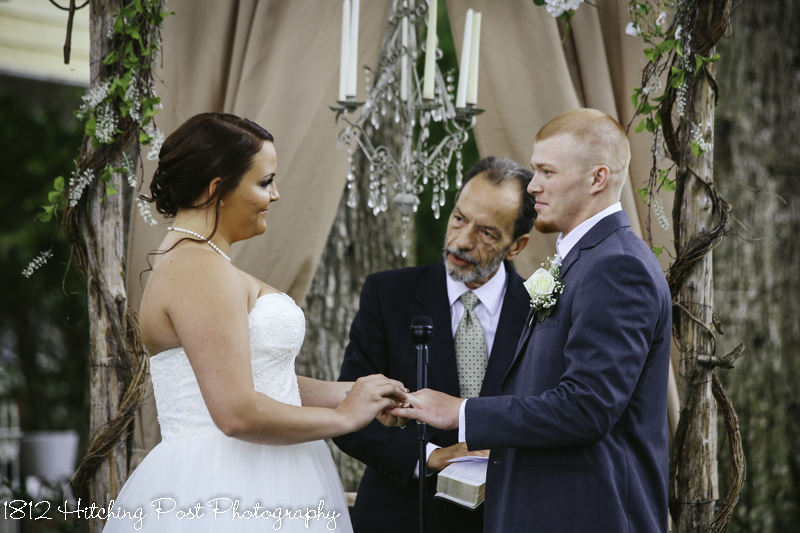 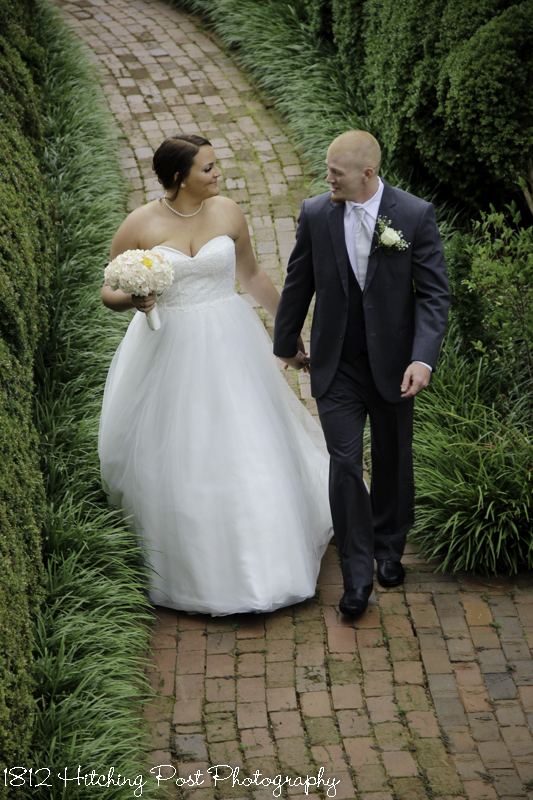 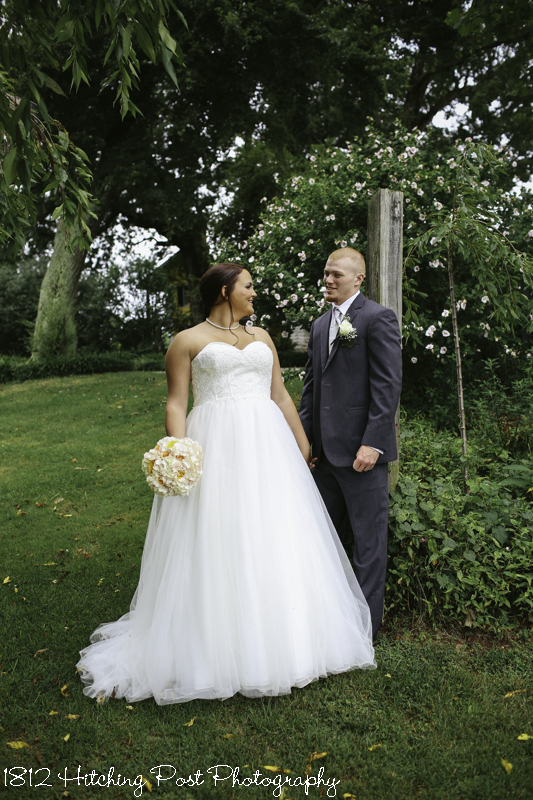 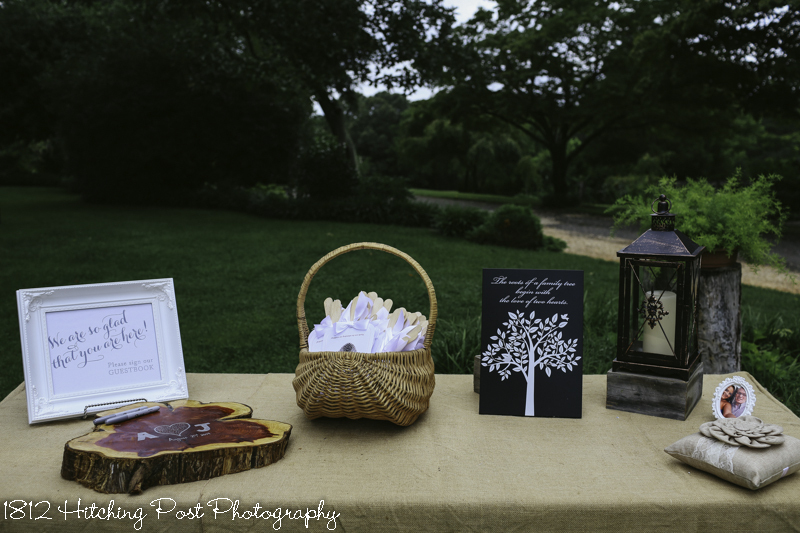 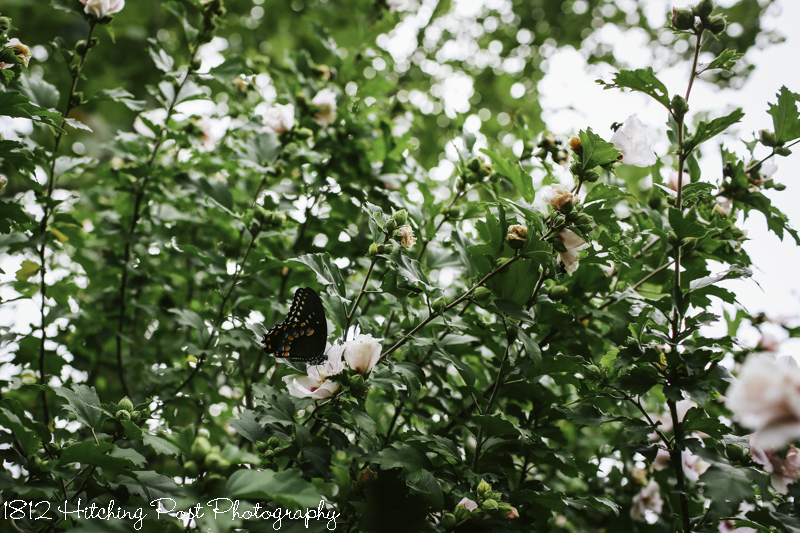 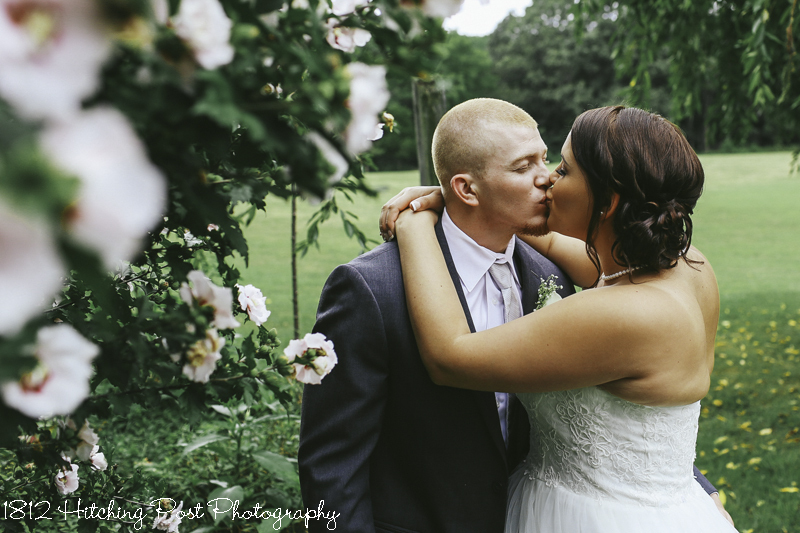 The lovely photos were captured by Taylor Gregory Photography.